The speakers features total output power of 50W. Detel has launched its Thunder Bluetooth tower speaker in India for Rs 4,499. 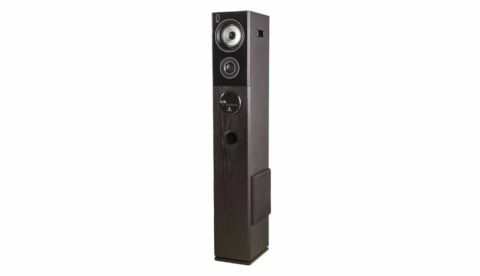 The speaker features two tweeters that have 50 watts of power and a 10.16cm subwoofer. The device is available via the company's website, mobile app and the e-commerce platforms: Flipkart and Amazon. Detel, world’s most economical feature phone brand today announces the launch of its first Bluetooth Tower Speaker namely ‘Thunder’. The high-intensity speaker offers phenomenal value for money proposition and is a perfect blend of chic design along with new-age technology and features. The product is available for purchase at a price of Rs 4499, on the Company Website, Mobile App and e-commerce platforms – Flipkart & Amazon, starting today. The speaker can be easily connected to various media devices using Bluetooth that lets you enjoy your favorite music wire-free. The speaker also supports Pen drive, Micro SD card, and AUX connectivity besides FM to play your choice of music. The vertical Bluetooth speaker is packed with two speakers up to 50 watts with 10.16cm subwoofer that emanates sound with superb clarity from the lowest to the highest tones. Made for party enthusiasts, the Tower Speaker offers rich immersive music experience and sports a high-end matte finish that supplements your décor and adds elegance to any room. With a display on the front Panel, a control pad at the center, and dedicated keys at the back to control the Bass & Treble, let the power of Music be in your hands. The speaker also sports Mic connectivity for a pleasing band song to sing all along. The speakers can also be paired with TV through AV port for more immersive home theater sound, or be used as part of a multi-room, whole-home audio system. For bulk-buying, the products are available for purchase on B2BAdda.com, India’s first hybrid e-distribution platform.